MLS# 180052205 - 11255 Briarcliff Dr, San Diego, CA 92131 - Abacus Properties Inc.
Remodeled home located on a great corner lot, & walking distance to Lake Miramar. This clean, turnkey home features gleaming cherry hardwood flooring, new windows, remodeled kitchen and bathrooms, built-in cabinetry in family room, custom fireplace and fresh paint throughout. Private backyard with large covered patio, and multiple fruit trees. Scripps Ranch Racket & Swimming Club membership conveys with the home. No HOA or Mello Roos. Read supplement. Please, send me more information on this property: MLS# 180052205 – $949,000 – 11255 Briarcliff Dr, San Diego, CA 92131. 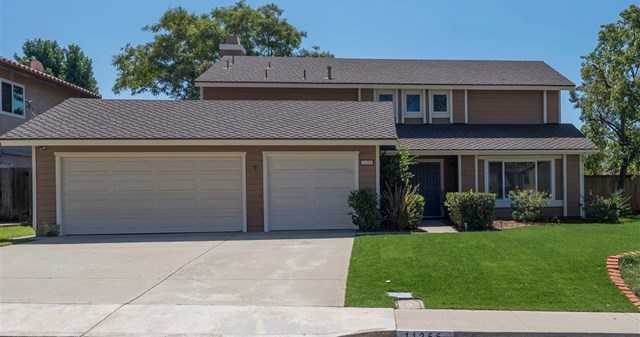 I would like to schedule a private showing for this property: MLS# 180052205 – $949,000 – 11255 Briarcliff Dr, San Diego, CA 92131.